If you have ever traveled, stayed in an international hostel, or been abroad for an extended amount of time, you know that one major facet of American culture is our love of the big breakfast! It brings together many of our favorite things: sleeping in, overpaying for foods we can easily make at home, and bacon. I am a culprit myself of loving to go out for breakfast, and I thought I would share some of my favorite breakfast spots around East Dallas. Being from Austin and having lived in San Antonio for 5 years, I am a huge fan of Mexican breakfast, breakfast tacos, and other spicy morning treats. 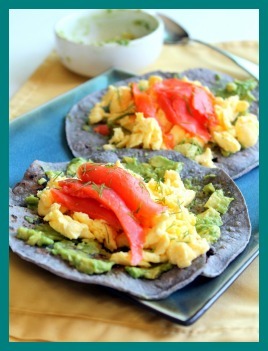 The breakfast taco is an interesting idea. It takes foods that aren’t necessarily Mexican (eggs, potatoes, bacon, yellow cheese), puts them in a tortilla, adds salsa, and all of a sudden it is a Mexican delight! Dallas is not necessarily known for it’s early morning Mexican, but there are a few spots that I have found that make it work. Torchy’s, an Austin based taco place, probably has the best and most creative tacos around. Taco Joint on Peak Avenue has great tacos and a solid Migas. Tacos y Mas at Ross Avenue and Greenville Avenue is another great spot for breakfast tacos. I also am a frequent visitor at Cafe Brazil and Buzz Brews, who both have great Migas, Chilaquiles, and incredible crepes with Mexican flair (Buzz Brews’ Hare Krishna Crepes are unreal)! If you’re a little soft on spice and looking for something more traditional, I have to recommend The Mecca Restaurant for American breakfast or Benny’s Bagels for delectable New York style bagels on Skillman in Lakewood as hearty and delicious spots. Sundown at Granada on Greenville Avenue is a great spot to take in a mimosa and some sunshine, and if you want to grab a brew and watch European Soccer, the new Londoner on Greenville Avenue is a great spot to do it! If quaint places and delicious waffles are more your style, then I have to recommend Corner Market at Greenville and McCommas. I know there are many more to cover, so get out there and sloth it up, Dallas. Stay up late, sleep in, and whenever you happen to wake up, wear your sweatpants and take your groggy head over to your local morning eatery!